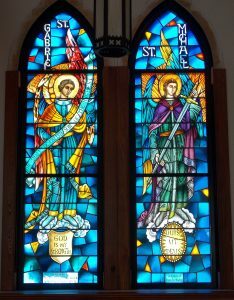 Peter A. Rohlf, CEO of Rohlf’s Stained and Leaded Glass Studio, was reading Episcopal Life Magazine, when he stumbled upon an article regarding a fire that completely destroyed St. Matthew’s Episcopal Church in Houma, LA. 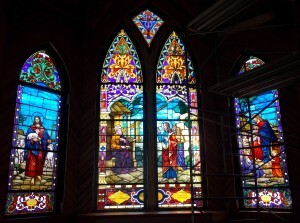 Payne Studio (an affiliate of Rohlf’s Stained Glass) had made the transept windows for the church prior to Payne Studio being bought out by Rohlf’s Stained Glass. Thankfully, Rohlf’s Stained Glass had on-file, Payne’s information regarding St. Matthew’s windows. It was revealed that Payne Studio had made four large archangel windows as well as some the transoms. Realizing this, Peter A. Rohlf contacted the architect and learned that the church was looking to replace all the stained glass windows. The architect recommended that Peter contact St. Matthew’s priest, Father Craig Dalferes. 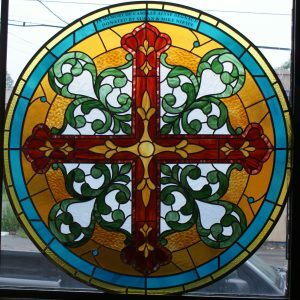 Father Craig had already received three proposals, he would however, be interested to entertain a proposal from Rohlf’s Stained Glass along with a visit to make a presentation to the stained glass committee. Peter Hans Rohlf, President of Rohlf’s Stained Glass, flew to Houma, LA to make his presentation to a committee of 20 individuals. 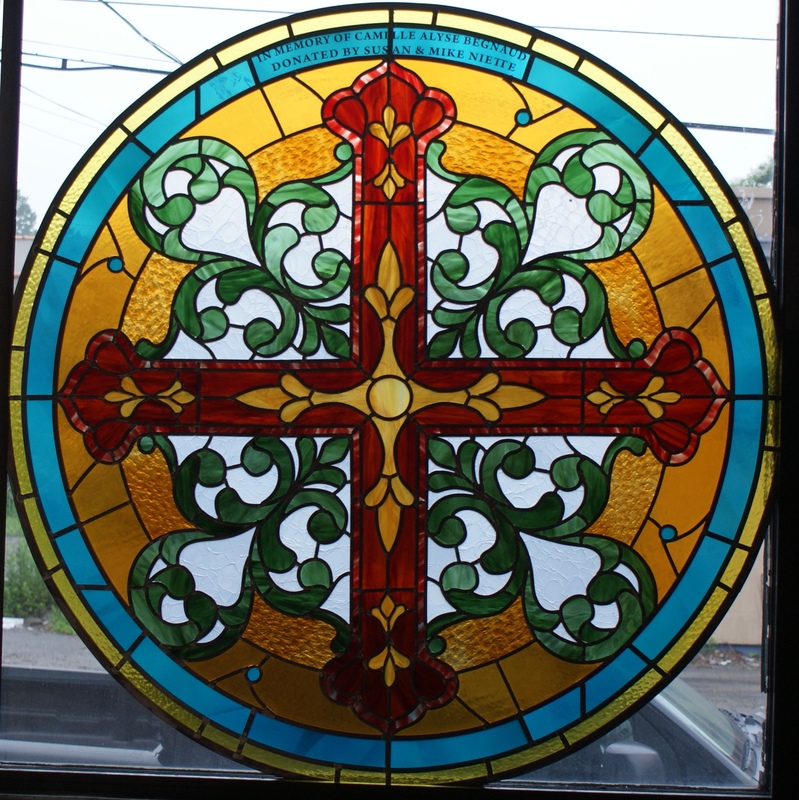 That same night, Father Craig called Peter Hans to inform him that the committee unanimously voted to contract Rohlf’s Stained Glass for the project. With the generosity of the donors at St. Matthew’s, Rohlf’s Stained Glass was able replicate the Altar windows recreated by Alexander Sidorov, along with other Nave windows. The four archangels were recreated by Franz Schroeder. As new donors came forward, Rohlf’s Stained Glass continued to recreate and fabricate the additional windows. Rohlf’s Studio was recently commissioned to create and fabricate the large triple lancet nativity window, which stands 10 feet wide and 20 feet tall, along with three more additional Nave windows. Phase one has been installed and the project is still ongoing. ← St. Hubert’s Chapel in Kinnelon Gets Recreated Stained Glass: A 45-year Saga.